It was written at a time (November 1943-February 1944) when the wartime alliance with the Soviet Union was at its height and Stalin was held in highest esteem in Britain both among the people and intelligentsia, a fact that Orwell hated. 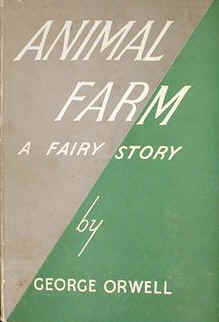 It was initially rejected by a number of British and American publishers, including one of Orwell’s own, Victor Gollancz. Its publication was thus delayed, though it became a great commercial success when it did finally appear—in part because the Cold War so quickly followed WW2. Time magazine chose the book as one of the 100 best English-language novels (1923 to 2005); it also places at number 31 on the Modern Library List of Best 20th-Century Novels. It won a Retrospective Hugo Award in 1996 and is also included in the Great Books of the Western World. The novel addresses not only the corruption of the revolution by its leaders but also how wickedness, indifference, ignorance, greed and myopia corrupt the revolution. It portrays corrupt leadership as the flaw in revolution, rather than the act of revolution itself. It also shows how potential ignorance and indifference to problems within a revolution could allow horrors to happen if a smooth transition to a people’s government is not achieved. 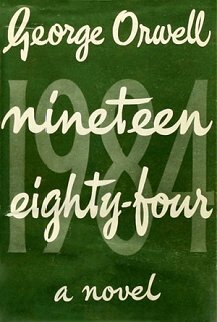 Orwell sadly passed away on 21 January 1950 although his novels have remained popular and have also been adapted numerous times for film, television and Radio.